In Florida, sometimes the best organic coffee comes to you! 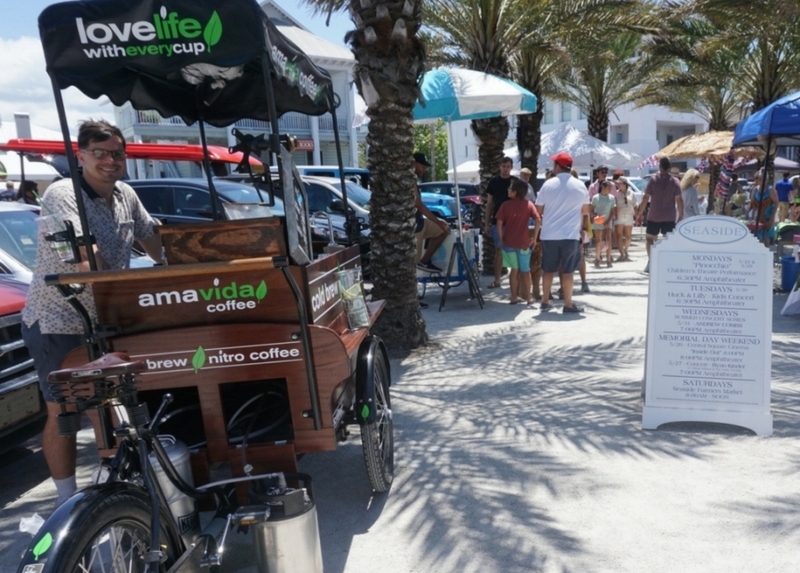 Check out our Custom Specialty Coffee Bike – the cleanest, greenest way to get specialty coffee in Florida. Schedule today if you want to have a local barista brewing specialty coffee at your next party or event! Locations in: Seaside, FL; Rosemary Beach, FL; St Andrews, FL; and at The Market Shops in Miramar Beach; FL.